The Red Firefish Goby is also known as the Firefish Goby, Fire Goby, and Magnificent, Fire Dartfish or simply Firefish. The Red Firefish Goby is a popular fish for clear reasons, it has an attractive yellow head that fades to almost white and then turn to a deep red on the back half of its body. To be successful with the Red Firefish Goby requires an established 20 gallon aquarium with plenty of live rock for cover as they will bolt back to a secure place when stressed. 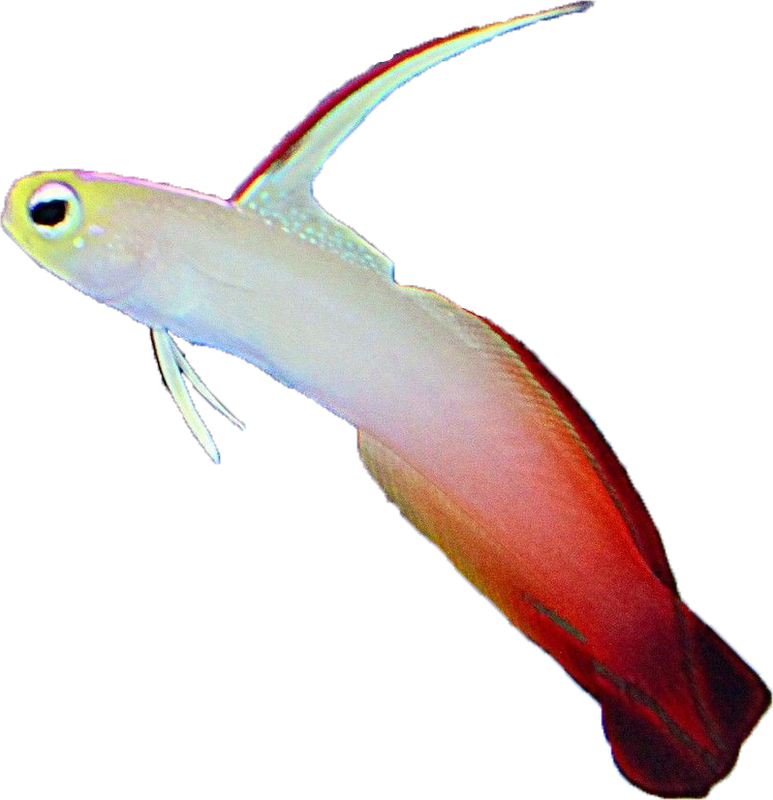 The Red Firefish Goby is considered a jumper, so a good lid would also be needed. My firefish came in healthy and began eating right away. They usually hide for at least a day but one guy was out right away. Thanks!